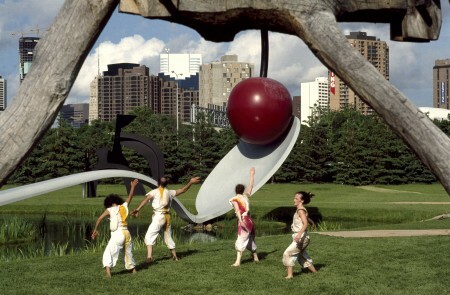 At New Dance USA (October 3–8, 1981), the Walker invited Karole Armitage, Lucinda Childs, and 25 other choreographers to perform their work at five locations throughout Minneapolis and St. Paul. 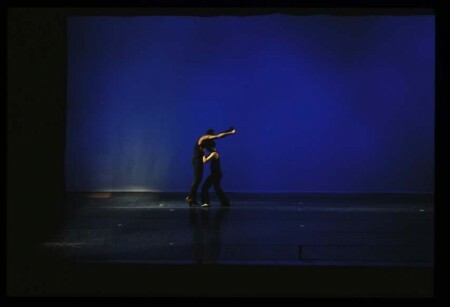 The festival lineup piqued the interest of audiences near and far who came to check out and assess what the 1980s postmodern dance scene was about. Along with the week of performances, the Walker—known as one of the nation’s leading presenters of dance—put together a three-part lecture series on postmodern dance, a Dance Critics Conference, a panel of dance presenters discussing creative ways to organize residencies, an exhibition of scores and graphic works by some of the participating choreographers, and a 50-page catalogue. When I recently came across the catalogue in the Walker’s archives, it was an interesting find. Not only to read about dance in the ’80s at the same time of the Walker’s current exhibition on art of this decade but also because the catalogue points to earlier works by several New Dance USA choreographers who have returned to the Walker time again since the 1981 event—most recently Bill T. Jones and Trisha Brown—and to those such as Deborah Hay who will be here later this year. 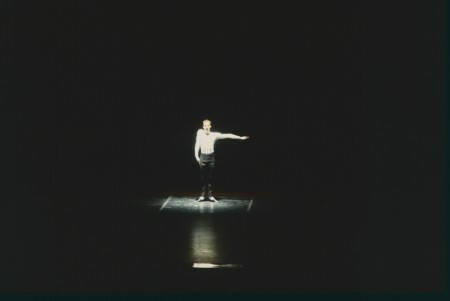 The catalogue provokes thinking about the contemporaneity of new dance and the ways in which these legendary choreographers’ work has developed over the years. In considering what constitutes newness in 80s choreography, the catalogue authors recount a rich history of postmodern dance. 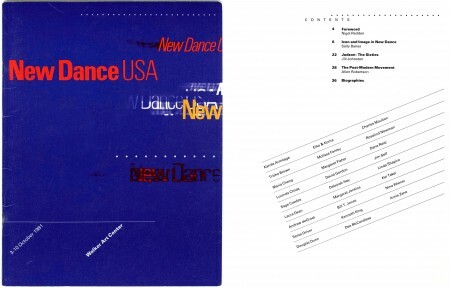 More than 30 years after New Dance USA took place here in the Twin Cities, as we near the start of another exciting season of new dance, the catalogue is a timely read. A loose synopsis augmented with some great photo documentation follows. New Dance USA festival catalogue cover and table of contents. Published 1981 by Walker Art Center. With an introduction by Nigel Redden—then the Walker’s performing arts director, and organizer of New Dance USA—and essays by critics Sally Banes, Jill Johnston, and Allen Robertson, the writers addressed the question, “What is dance?” to position some criticality of what was happening with choreography of the new decade. 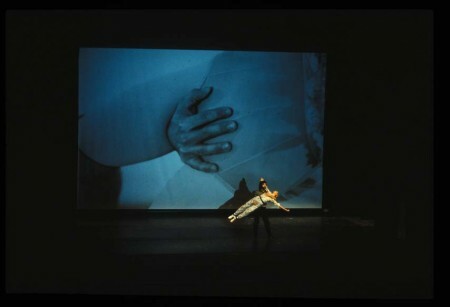 They chronicled the origins of postmodern dance to contextualize innovations/departures noticed of late, tracing its history to Merce Cunningham’s chance compositions with John Cage in the 50s, dating its emergence to Judson Dance Theater’s formation in 1962, and noting its subsequent essential moments in Grand Union collective’s improvisations in the early to mid 1970s. In these years choreographers radically expanded the concept of dance. Johnston wrote, “For a while anything anyone did seemed acceptable, even laudable.”[i] Coinciding with transgressive social movements of the time, the work was freed from the codes and rules of the old establishment that valued impeccable technique, dramatic expression, and spectacular presentation. It instead emphasized play and spontaneity, incorporated everyday life movement and objects, was performed in unconventional and often bare stage settings, and appreciated awkwardness, disorder, and the ordinary. 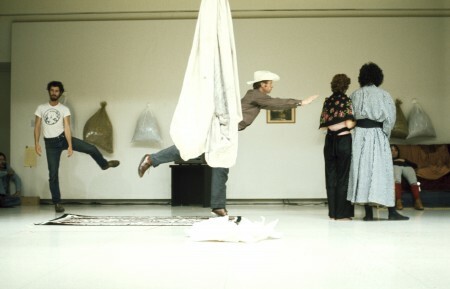 In revisiting and reinventing certain elements of, for example, theatricality, choreographers increasingly collaborated with visual artists, sound artists, and non-artists to explore the interdisciplinary possibilities of working with various media that had become more available to them in the ’60s and ’70s. 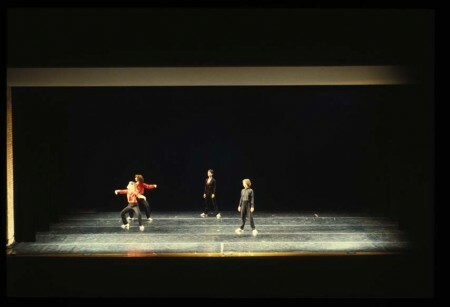 By the early ’80s—coming into a decade of attention to mass media—several choreographers had the means to amp up production to synthesize considerably large-scale multimedia works. These were layered with photographic or filmic projections, sound compositions, and striking costumes that veered from the neutrality and stripped down work commonly seen in the ’60s. David Gordon and Valda Setterfield. Close Up (1979). Children’s Theatre. October 3, 1981. 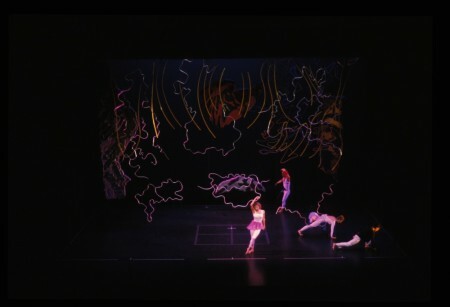 At New Dance USA, Dana Reitz’s lighting design was by Charles Atlas, Jim Self’s costumes were designed by Frank Moore, and Lucinda Childs’ set was by Sol LeWitt. And perhaps most frequently written about in the New Dance USA reviews was the prevalent incorporation of sound in these works. 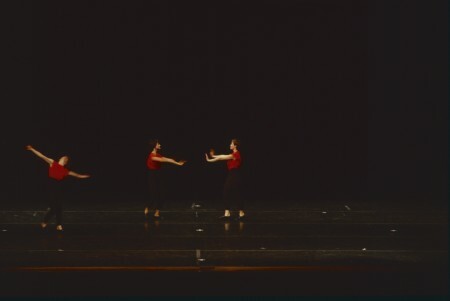 Some of the choreographers, such as Laura Dean, identified as sound composers in their own right—a departure from the ’60s when it was usual to watch dance in silence. 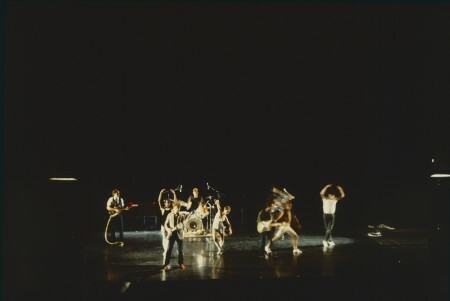 While experiments with sound took off in the early ’80s (Redden had just organized New Music America in 1980, convening more than 70 participants), at New Dance USA Karole Armitage worked with Rhys Chatham, Lucinda Childs with Philip Glass, Charles Moulton with A. Leroy, Deborah Hay with Bill Jeffers, and Douglas Dunn with John Driscoll. Molissa Fenley. Direct Effect. Anwatin Middle School. October 9, 1981. That said, in acknowledging the range of backgrounds, ideas and styles at New Dance USA (and of course elsewhere across the country), the writers didn’t set out to historicize the present or cover new dance in the U.S. exclusively through a few noticeable trajectories. 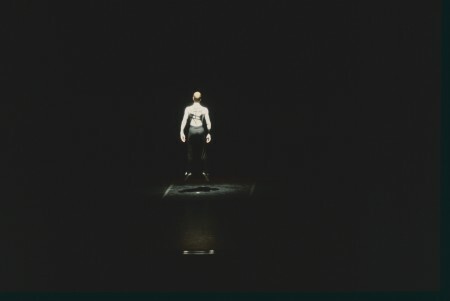 To provide some critical context to the week of performance, the catalogue was an occasion to revisit the connotation of the term postmodern dance and consider how, as Banes put it, some of the “preoccupations” in choreography have altered over the years. 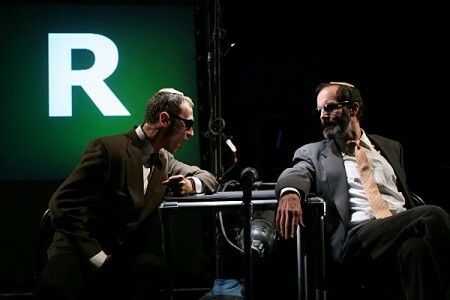 David Gordon Pick Up Performance Co(S.), Uncivil Wars: Moving with Brecht & Eisler. Photo: Paula Court. Especially for someone like myself who’s recently experienced works by these artists for the first time, finding this New Dance USA catalogue and festival documentation in the Walker’s archives lent some interesting context to what might be considered new in dance. 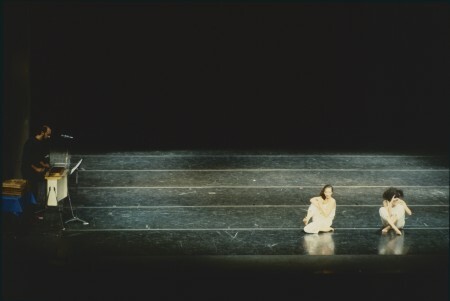 Linda Shapiro and dancers. Pulse. Anwatin Middle School, October 10, 1981. [ii] Banes, Sally. 1980. Terpsichore in sneakers: post-modern dance. Boston: Houghton Mifflin; Robertson, 34; Banes, 14. [iv] Banes, 17; In d’Art, October 15, 1981, Caroline Hall Otis describes the choreography of this quintet—composed of Moulton, Barbara Allen, Beatrice Bogorad, Ken DeLap, and Robert Swinston—who tightly danced in unison to live electric piano played onstage with the percussive beat of A. Leroy’s score; Linda Winer, New York Sunday News Magazine, January 10, 1982; Robertson, 34. [v] Interview with Redden, December 11, 1981. [vi] Quoted in “New Dance, a step beyond modern, coming to town,” by Mike Steele, The Minneapolis Tribune, September 27, 1981.